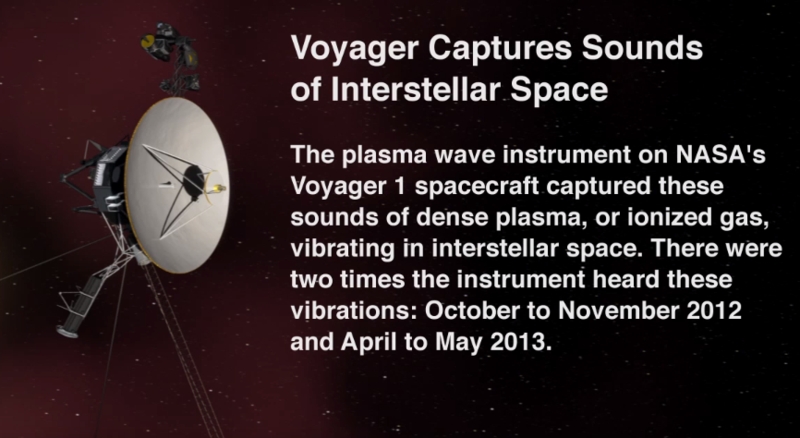 Did anyone suggest theories on the sounds voyager 1 captured from 2012-2013? I was watching this on the JPL Youtube channel and it doesn't have much context other than 2 minutes of footage, and cuts to slides with some information, but not a lot of information. I'm wondering what the significance in the rise in density, and frequncy (especially in a linear form over that period of time) could be. I took a few courses so I understand the basic concept of what the spectrogram means and what spectral density is. 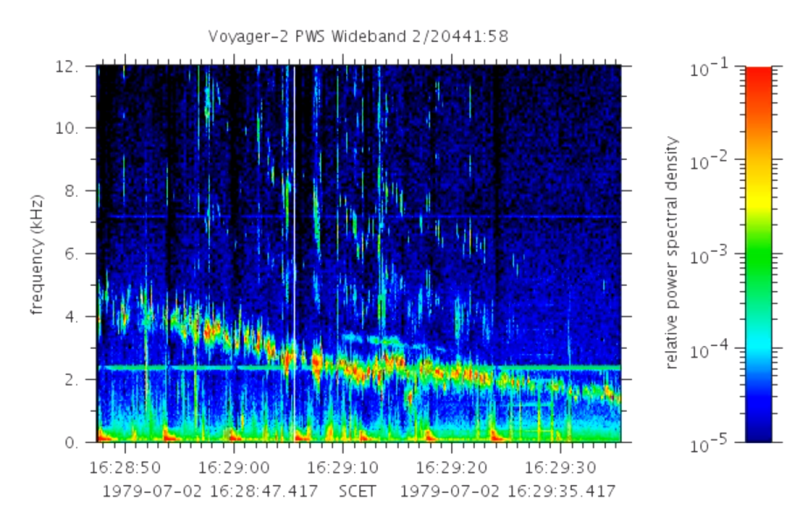 After looking at a bunch of the other voyager fly-by spectrograms, in the same relative density and bands as this were (as my limited research found) only on the Jupiter flyby recordings. Below is a picture of the end part of the fly-by of Jupiter. It has the same sort of linear pattern, but in reverse, what is the significance of this that the video was attempting to point out? Wouldn't the large difference in timescale mean these sound sources could potentially be different, why are they correlating the two as shown? Do they think we've heard sounds from a consistent source, and if so, would this allow us to approximate factors about that source given the rise in density/frequency over time such as distance? Could be I'm grabbing at straws here, just wondering if any analysis was/could be done, if so what was/would have been. One of the truly helpful references I found was this document, which had a picture like this in it (page 298), which is admittedly a long leap beyond my level of understanding. I know about log scaling and a few other things, but my knowledge is mostly limited to audible speech and language processing-- the scales used are beyond my current knowledge. Browse other questions tagged interstellar-travel voyager sound or ask your own question. Is there any way to find and track Pioneer 10, 11, and Voyager 1, 2? 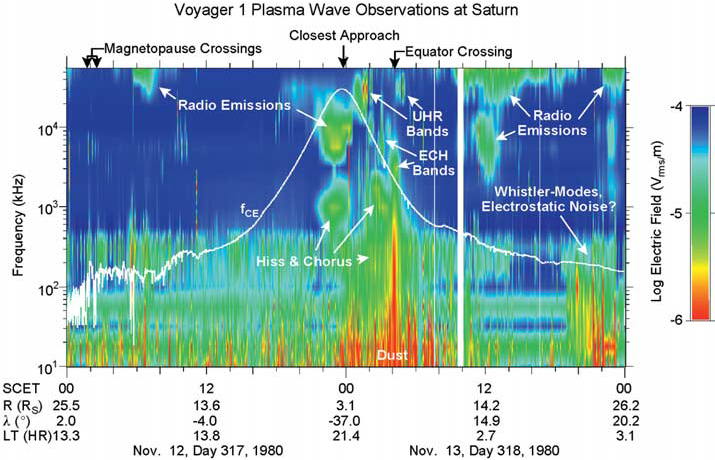 Did NASA provide the wrong year for Voyager 1's close approach to AC +79 3888? Why did we send those golden records on Voyager crafts? Is the speed of the Voyager probes accurately described by Newton's or Einstein's theories? 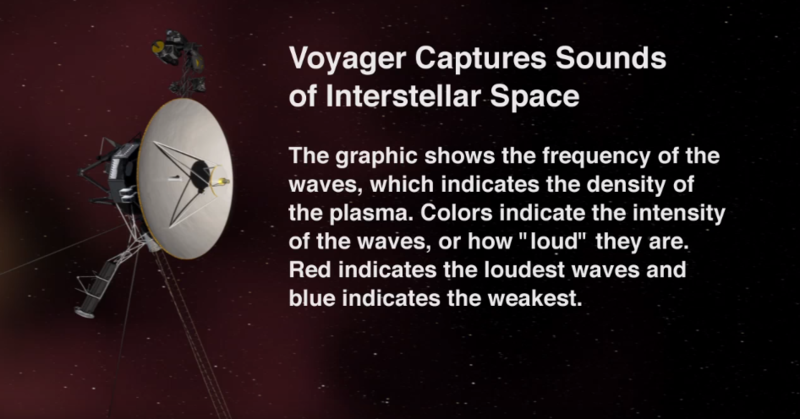 Can Voyager 1 receive signals from Earth? Orion Project (NPP) Pusher Plate computer models and survivability? What are the sounds in this GoPro-in-orbit ISS video? Are the Voyager spacecrafts ever coming back? 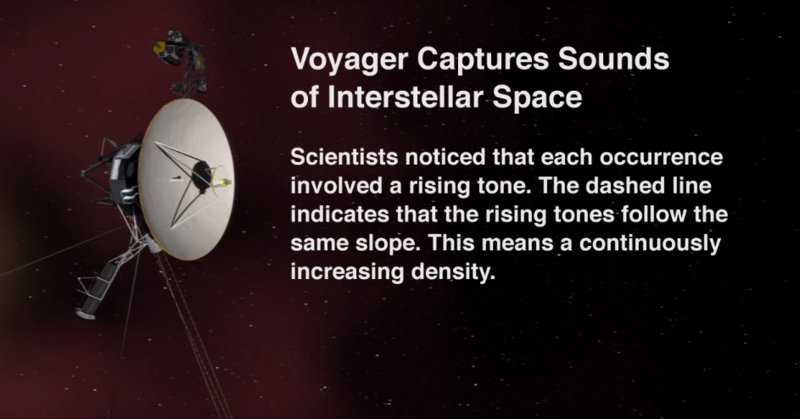 Did Voyager 1 and 2 record while not near any planets to get “ambient mechanical noise” for smoothing? 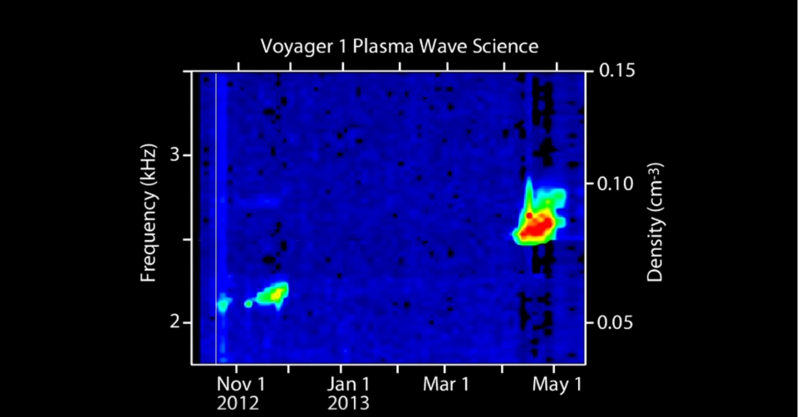 How often do we get information from the Voyager spacecrafts?